we’re featured in LDN East magazine and we’re pretty chuffed about it. Just because we made it to the hallowed pages of the Guardian’s awesome Cook section (saying that does not get old!) doesn’t mean we’re not happy to be written about in more local publications. 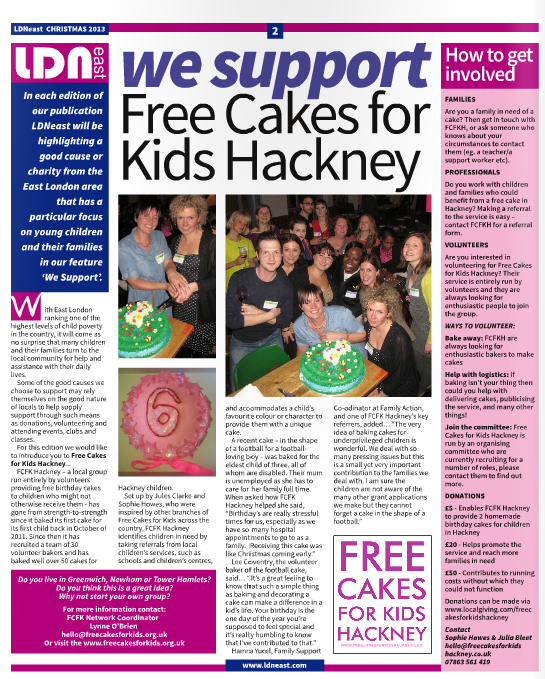 In fact it’s often the more local publications that actually reach our target audience and get us the referrals, donations and bakers that we’re after. So thank you LDN East. You made our rather soggy Wednesday!